Building a strong sense of confidence from within can help reduce stress and anxieties: even at its most basic level, when we feel confident, it really shows in our posture/ body language; our shoulders are back; we lift up and out from the diaphragm, thus helping us to breathe more fully, which in turn means our bodies are better oxygenated… and we feel better. Building confidence from within sets new perspectives on life, life’s challenges and aggressors. As your inner confidence grows, so you are able to view life’s stresses for what they are. This series of tips is about reducing the impact of stress – problems I’m afraid are still there – but you don’t have to feel the overwhelm of their impact on you/ your wellbeing/ your health. I guess I’m saying that practising T’ai Chi can provide a bit of a buffer. When my students arrive in class, I do encourage them to leave to one side any particular stresses/ over-active thinking which may have preoccupied people as they arrive. Sometimes we’ve been talking about a recent life event of one of our group, and on more than one occasion we have been berating some quite discourteous behaviour from local van drivers. That’s a great example of where building that place of confidence inside us simply over-shadows any rude aggressive behaviour towards us. 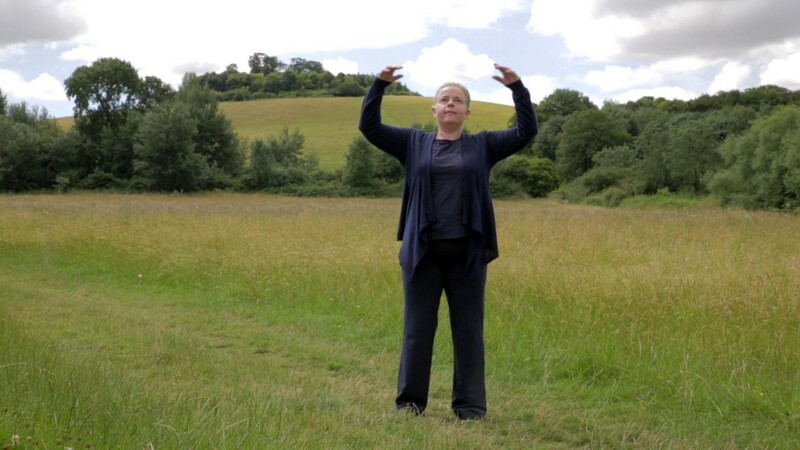 So T’ai Chi practice enables energy building and works towards ensuring that energy is flowing and not stagnating. 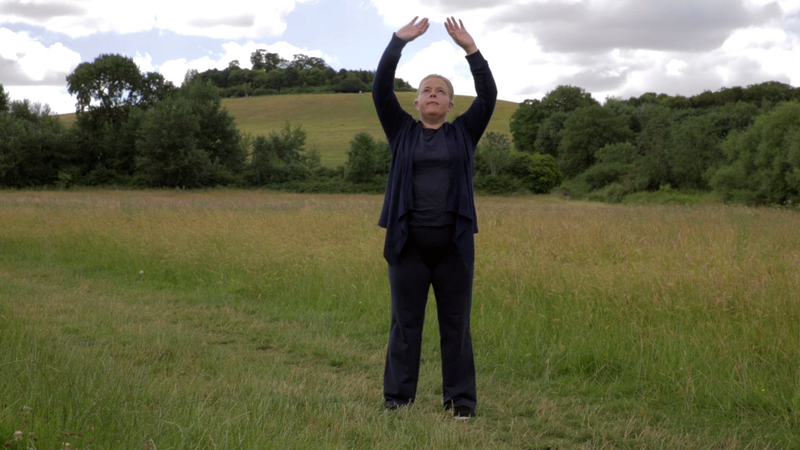 Since in T’ai Chi we don’t over-stretch at all, and we take care not to tense into the muscles, this is a very open, free-flowing, tension-free exercise. Postures enjoy a slight bend in the elbows, wrists and knees – there are no “kinks” – just gentle curves (as per the T’ai Chi yin/yang symbol). I have mentioned generating energy; the unencumbered flow of energy through meridiens; and the energy centre at the lower dandien (there are other centres which I could mention, but for the sake of simplicity I have left those out of this post). The final point I want to make about building confidence (“the T’ai Chi way”) relates more to the martial art/ combat element to T’ai Chi. In this I’m not looking to drum up a fighting spirit against the root causes of your stresses… but I would like to point out that in T’ai Chi we yield and deflect as you might in combat. I often mention the Monkey Steps movement in my blogposts – I like their symbolism. This is a slow graceful movement, low and strong into the legs. The movement is in fact backwards as the arms deflect – one palm pulls towards the body as the other simultaneously pushes away. In this way, the T’ai Chi practitioner is both yielding and deflecting, whilst remaining strong within himself. If we bring to mind our aim of reducing stress through building confidence from within – in this movement we see life’s aggressions (problems/ frustrations/ obstructions/ stresses) being quite simply brushed aside without further action. … and most importantly, without a reaction!! Rather than retaliation with one’s own aggression (whether that be in thought or in deed) – we simply let that aggression (problem/ frustration etc.) pass without challenge. We continue moving backwards, yielding, yet strong within ourselves. Confident. And with clarity. Stand with your feet hip-with apart, bend very slightly into the knees, pulling up at the crown. Place one palm on your navel, then the other palm on top. Breathe fully into your belly, without taking a big deep breath – just breathe naturally but fully. Bring a relaxed awareness to the lower dantien (just beneath the navel, a third of the way in from front to back). Relax in this position for around a minute and a half. Then stand with the backs of your hands together in front of you, hands down at 6 o’clock; your palms are facing left and right. With a wonderful deep (but natural) belly breath – a long breath – lift your hands up in front of you (your elbows are high), then your hands go up over your head as your arms open to each side, making a circle, and returning to your start (6 o’clock) position. Continue another 5 times, one long breath per circle – breathing in as the arms come up and out as they move down. On the 6th circle, cup the hands at the bottom, then reverse the action – so arms go out to the sides first. You are collecting the energy from around you, then pull it down slowly in front of you. After 6 repetitions, allow the hands to rest loosely at your sides, and relax into the stillness for a few moments before bringing your attentions back to your surroundings. This entry was posted in General and tagged breathing, confidence, de-stress, gentle exercise, Monkey steps, stress at work, T'ai Chi benefits, T'ai Chi symbol, wellbeing on September 15, 2014 by Helen Blantz.